PLEASE NOTE: Take the HUGE advantage of using Craft Boosters and utilizing the WvWvW Crafting Buffs. The guides were written on “Over Flow” servers, meaning I received no Crafting Bonuses. If you have the WvWvW buff and the Crafting booster, you will NEED to skip a great deal of this guide. Please always remember this is a guide for crafting, and it can only do so much. It will not be perfect for you, critical crafting success makes crafting extremely random. If your crafting critical rate is %15, that doesn’t always mean you will get 15 critical out of 100. You could get 150 critical crafts in a row or you could have zero critical crafts for 75 crafts. So I can only provide a strong base to help guide you. Shopping List Notes:YOU CAN ALTER THE SHOPPING LIST, this is JUST a guide but be advised if you change things it can get nasty quick. You have to make sure whatever you substitute is equivalent to what you are replacing. If the Fine Materials/Tier Materials are for level25 you can only substitute level25 Fine Materials/Tier Materials. Sounds confusing? It easily can be haha that is why you should just follow the guide. 34 Bronze Ingot – Requires 70 Copper Ore + 7 Lump[s] of Tin Note: You will craft 1 extra ingot. You will not be combining these without an inscription! All crafts using the potions and weapons are discovery only. 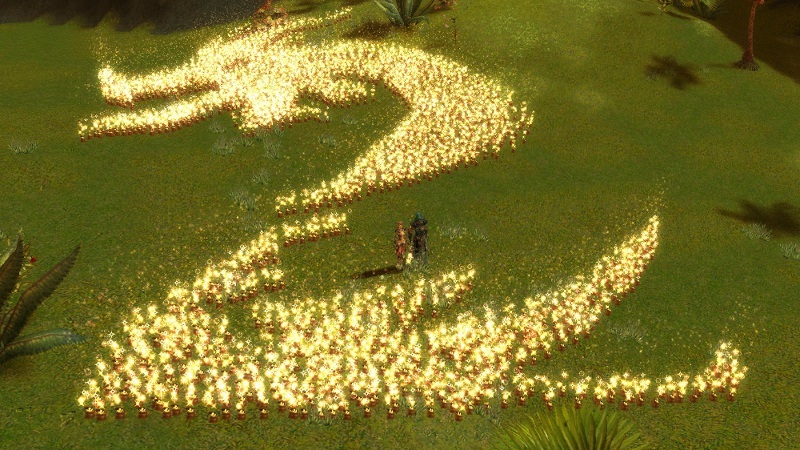 As some of you may have noticed that amount of gold you receive in Guild Wars 2 is much less than other MMOs. I have thought about ways to preserve the gold you get and decided to share what I’ve come up, with you. 1. Be aware of the loot you get. This is rule number one because it defines the way the rest of the choices are determined. Do not simply mindless move your mouse through your bags clicking on whatever highlights blue for salvage. I know the deposit all materials function is tons of fun, and I used to do this, but I 100% guarantee, you are losing a huge amount of gold. 2. Have a basic understanding and ability to determine what a trading post worthy piece of gear is. For example it’s probably not worth it to put a blue piece of light armor with +healing and + crit damage on the trading post. Not that there is a limit of things you can put up there, it’s just that you are wasting copper to post it and you are delaying the inevitable. The inevitable is rule 3. 3. So you may be asking: If I’m not salvaging the gear and I’m not putting it on the trading post then what am I doing with it? The answer is, vendoring it. However this is similar to rule number 1 in which you don’t mindless go through your bags clicking everything without a second thought. You need to be a rational person when it comes to this and it will pay off in the long run. The example I like to think about is taking a weapon that can be vendored for 1 silver. Imagine you salvage it (its easy if you try). You are awarded with a soft wood log. Okay now let’s do some simple math. Soft wood logs sell for the price you can vendor them for, on the trading post, 4 copper. Now you may say “hey Wicklow, they sell for 3 copper”. And my response is that it takes 1 copper to post them on the trading post. Why people sell them for this on the trading post is beyond me, but there they are regardless. But I digress. So you now have a log valued at 97 copper less than the original piece of loot. As you can see, the better choice was to sell it to a merchant. 4. How to determine what to sell and what to salvage. This is a calculation you really need to make for yourself, and it takes a basic understanding of what you will receive from what you salvage and what that material sells for on the auction house. Whatever threshold you set for determining the choice you make it’s important to realize that you will need to raise that threshold as you level, to account for the higher level gear drops. As a point of reference here is my calculation I make at approximately level 50. Anything above 30 copper in value gets vendored. I feel like that’s a good place to be, but maybe I need to be moving it up to 35. Also I always, always vendor heavy armor, and I’ve been beginning to vendor heavy armor scraps. This is because there is no reason to be stockpiling so much ore. You are already harvesting ore like a champ trying to get that exp. and I feel, for me, that it’s really piling up. This feeling is strengthened by looking at the prices of ore on the trading post, clearly others feel the same as I. However there are no leather nodes or cloth nodes. So I always salvage light and medium gear and the corresponding scraps. I’m beginning to think I should raise the threshold for these items maybe even as high as 50 copper but I need to do a bit of research before I make that jump. The reason I like light and medium armor so much is that the materials they break down into sell like hotcakes on the trading post, especially cloth. I think I’ve beaten this dead horse enough and if anyone has any questions on determining a threshold I’d be more than happy to answer them in team speak. Lastly in a topic unrelated to loot drops but very much related to gold. I know the waypoint system is fun but for the love of god, don’t use it like it’s going out of style, it’s much much much more effecting to run to 95% of the places you want to get to in terms of making gold and experience (harvesting etc.) Just use them sparingly, they are huge gold sinks. Also if I have time I may do some research about what is the best salvage kit to use. I’m not sure if it is worth using the better ones unless you need an upgrade, as in I’m not sure how effective the gain x% chance of finding rare materials is compared to the cost of the kit itself. If I do a spreadsheet I’ll post it on a new topic, keep your eyes out for it in the next couple of weeks. When you post something the is an initial 5% listing fee. If that item sells there is an additional 10% fee after the sale. The percentage is based upon the price you post it at. As an example you posted an item for 10 silver. Initially there is a 50 copper fee, if it sells there will be another 1 silver fee. For a total of 15% of the sale given to ANet. Whenever you need to sell something on the auction house. This is the calculation that you need to make in order to determine if it’s better to sell or to vendor. If that equation isn’t true then DO NOT POST IT! YOU WILL LOSE MONEY. 50 copper posting fee X 2 = 1 silver, 50 copper + 1 silver = 1.5 silver. If the items vendor price is greater than 8.5 silver DO NOT POST IT! I’ve done a lot of crafting through the beta and stress tests and one thing I’m always trying to manage is having enough money AND having enough crafting materials. So each time I get loot while out adventuring I have to decide what items to salvage and what items to vendor for coin. I vendor all items which would salvage into common metals or wood. This is generally all heavy armor and weapons. I simply sell these items to NPC merchants for coin. If the item is mastercraft (green) quality or higher I will usually try to sell it on the trading post to other players. In some cases I may choose to salvage these items with a very high level salvage kit if the item carries a rune/sigil I am hoping to retrieve, but I will not salvage them for the metal or wood. Fine (blue) weapons and heavy armors may also be worth selling on the trading post if they are the high power stat variety (strong, mighty, etc.). Common metals and wood are SO easy to obtain that these loot items will generally be more valuable to you for their coin than for their materials. I salvage all light and medium armor that is fine (blue) or lower quality to get cloth and leather. As usual, mastercraft and higher stuff will be sold on the trading post or salvaged for runes/sigils with high level kits. I’m not really decided on what to do with jewelry drops I may receive. Honestly I don’t seem to get very many of these as drops. Jewelry will salvage into the precious metals and gems which definitely sell well. I think I would either salvage them or sell them on the trading post but I doubt I would vendor any of it. The gems are so valuable that using a very high level salvage kit may be worth it for accessory items. All in all I think this is a fairly balanced approach that is somewhere in the middle between the extremes of selling everything and salvaging everything and should net you a decent amount of money and materials to allow you to continue your crafting endeavors. Another video for more tips and sharing.